SEO is a zero sum game. There are no joint winners. To be ranked for a certain keyword, you need to be ranked higher than your competition. Given this fact, one would assume that competitive research would assume a lot more importance and robustness. It is surprisingly not so. Competitive research remains one of the after thoughts with SEO. How does one measure competitiveness of a keyword. The current industry term is a faulty metric- called KEI (Keyword Effectiveness Index). It is the ration of the number of searches of that keywords and the number of results that show up (the entire universe of competition). If there is one word, it is “displace-ability”. Can you displace any of the top ranking players? If you can, you are still in the game. Else, it does not matter. There is no point in expending a lot of organizational effort to rank 25 on a keyword. How do you measure displace-ability? Very much like Google ranks the results. Look at how well the pages are optimized, how credible the website is, how many pages it has and number of relevant inbound links. If you can score a page like Google does, you can figure the pages that are most vulnerable to being displaced. World Biz Express has built a platform called ALPS. ALPS has automated the above approach. 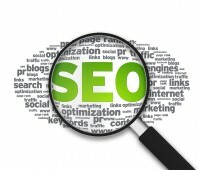 We take the top ranked results for thousands of keywords in a category and score them based on the major SEO factors. That gives you the set of keywords in a family that are most vulnerable. Armed with the keywords that you can quickly get ranked, start optimizing your pages, building the links and just being the most relevant web page out there for that keyword. And you will find yourself being able to displace some of the top rankers and getting your rightful share of traffic.